Pack of 20 lace & crochet design Shaders. They are all white so any colour or pattern can be added using the Surface tab. DanniStories (2 years ago) Inappropriate? Many artists are upset [including me] over the way Second Life decided to just take our work for free with no warning. You will probably see more artists moving their work to their own sites because of this. I noticed that another artist warned people that her work was being sold on the Second Life Marketplace. That's probably why Wilmap moved his freebies offsite. They were here, so he is more …Many artists are upset [including me] over the way Second Life decided to just take our work for free with no warning. You will probably see more artists moving their work to their own sites because of this. I noticed that another artist warned people that her work was being sold on the Second Life Marketplace. That's probably why Wilmap moved his freebies offsite. They were here, so he is not getting "free advertising" or putting up spam. If you go to his site, the registration is quick and well-worth it! 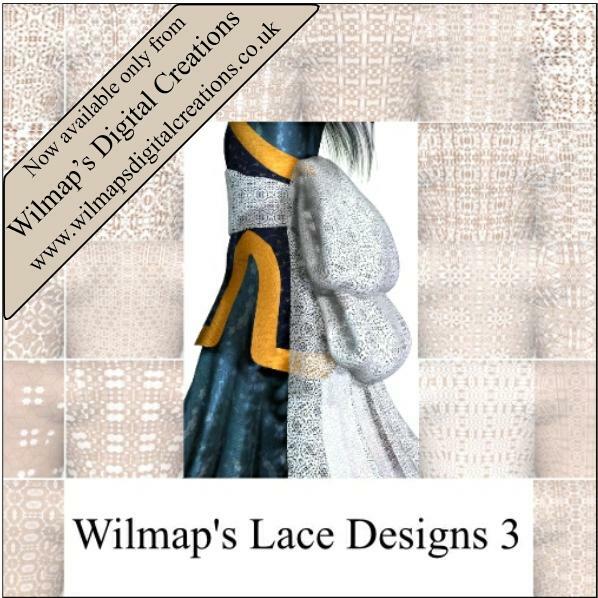 Wilmap has dozens of freebies in about six or seven categories! I signed up and now am enjoying the freebies! hindudreams (3 years ago) Inappropriate? Your use of ShareCG as free advertisement space is just WRONG. If you won't put the files here, get the adds off here. No way! Lace shaders, so made my day...again! Thank you! So appreciate you sharing all of these. Thank you ..for sharing ! so nice..
You are a star, thank you for your generosity. better and better, thank you! Thank you for this great stuff! Thank you they are lovely.